It’s Friday! In our house the weekend occasionally (or maybe more often…) calls for pizza! We love to make our own pizzas. It’s a fun thing to do and you can make it exactly the way you like it! Not to mention it’s about a hundred (close) times cheaper! It’s a fun thing for the kids too! If I have the time and patience I like to set up a pizza bar, gather the family together, and we all make our own mini pies. It’s fun for the kids but it is a nice way to make sure everyone is happy with what’s on their plate. My hubby and I tend to go with a more “grown up” taste when compared to the normal cheese or cheese and pepperoni that the kids like. Everyone wins! 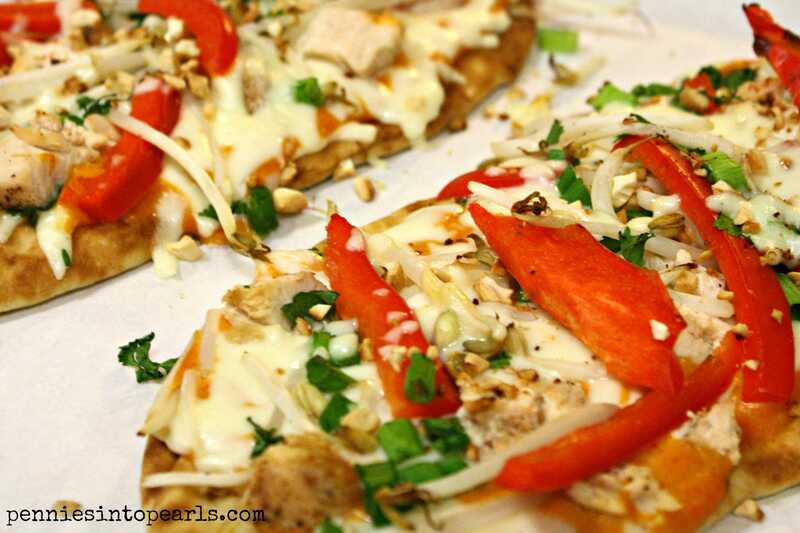 This pizza recipe I am about to share with you is one of those “grown up” pizzas that my hubby and I really devoured! 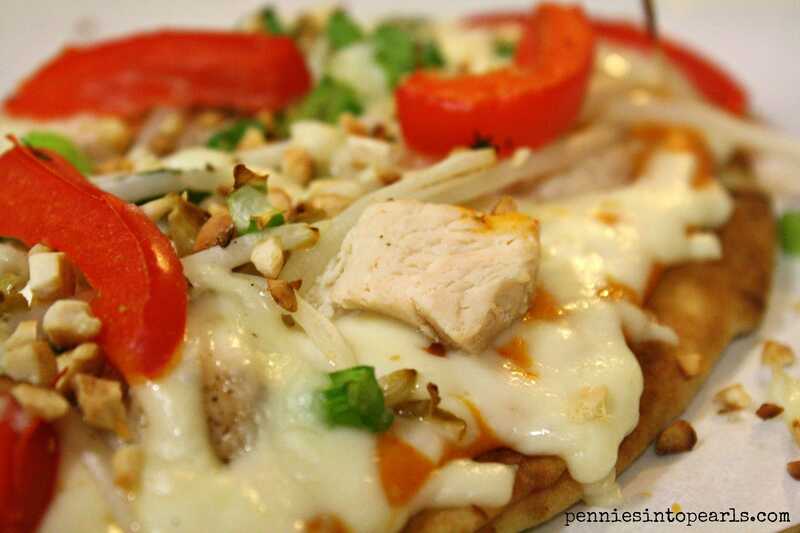 It tastes great but it is also a much lighter option when it comes to pizza. I really like eating something delicious and not feeling heavy after! This pizza recipe I originally found on a really yummy blog called MJ and Hungryman. When they say quick and easy, it’s no lie! I made just a few little adjustments to make the sauce a little thicker and added a few more flavors that we like in our house. Hope you like it! 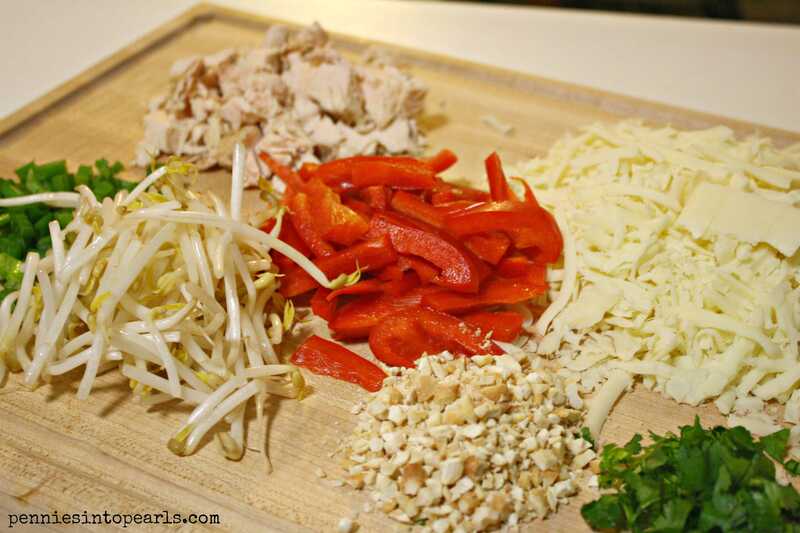 Chop up and prepare all your toppings. To make the sauce all you need to do is take the coconut cream, curry past (this wasn’t has hot as I thought it was going to be), garlic powder, ginger, and salt and whisk together over medium heat in a saucepan. Keep stirring and the sauce will eventually start to thicken as it continues to cook. Now take your naan, add the sauce and start topping. I found my naan bread at Costco for a super great deal. You get 12 large pieces for about $5. One piece / pizza was enough to feed my husband and I both dinner. This compared to some health food stores was a major score considering they were selling a 6 pack of naan for about the same price. This is such a great fresh pizza recipe and takes no time at all. If you’re not a fan of some of the toppings mix them out for something you think your family might like. Enjoy! Take a look at my Link Parties page to see where I find and share other great ideas! In a medium saucepan over medium heat combine coconut cream, curry past, garlic powder, salt, and ground ginger. 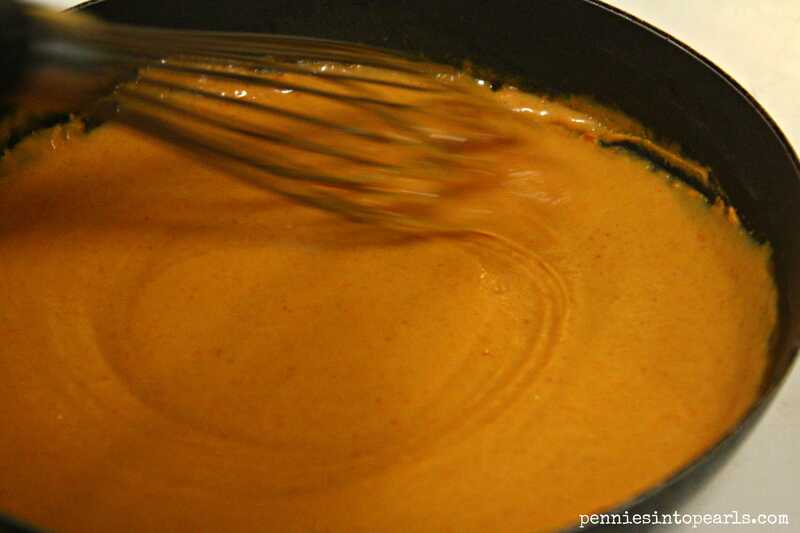 Continuously whisk over medium heat until sauce starts to thicken. Remove from heat. Take naan and place desired amount of sauce and remaining toppings. Place pizza on cookie sheet and cook in a preheated oven at 350 degrees for about 10-15 minutes. This sounds so delicious! I can’t wait to try making it with my homemade naan recipe (http://brendid.com/better-than-take-out-naan/). 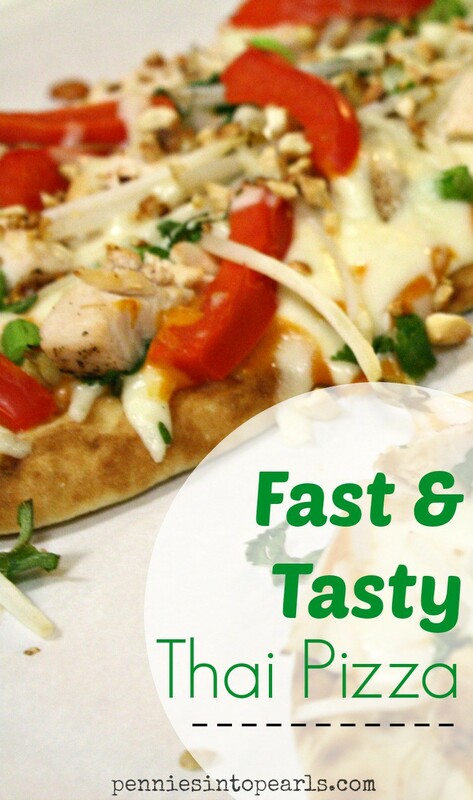 Years ago Old Chicago had a Thai Chicken pizza that we loved but they no longer make, this may be the perfect (an healthier, homemade) substitute! Hi Bren! I bet homemade naan would make this recipe even better! Do you have the recipe up on your blog? I would love to take a peak!